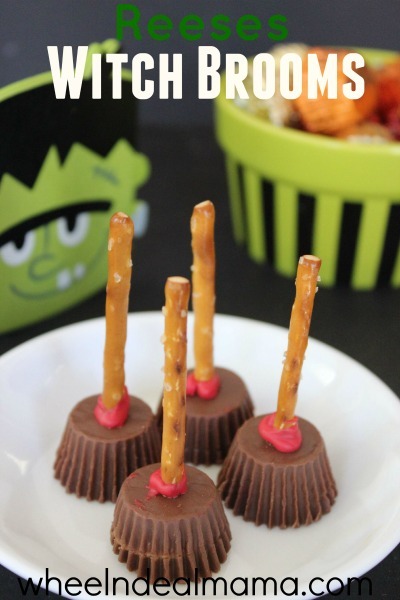 If you need a cute and quick treat for your Halloween party, a clever snack for after school, or a tasty pick me up for the office these sweet little witches brooms are perfect. They take just 3 ingredients and a few minutes to make, they are simple and adorable to put together. Double or triple the recipe to feed a whole flock of witches! Dip 1/4″ of pretzel into melted candy. 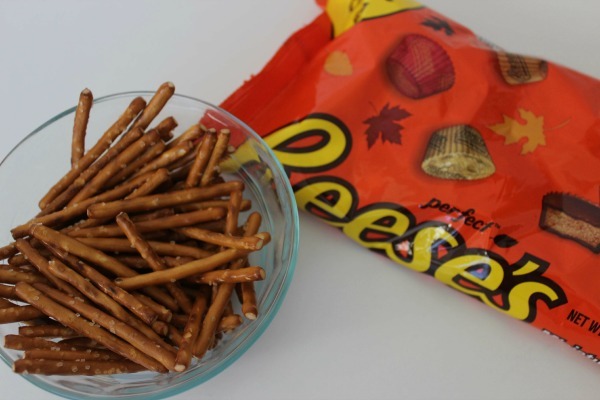 Insert pretzel stick into bottom of Reese’s cup and place on prepared pan.